Business planning is a well-established approach for developing a new product or service. In a public health context, business planning is a process for understanding customers and needs, studying trends, determining markets, and planning an effective evidence-based product or service that will meet two main objectives: improve health, and generate revenue to support itself. In other words, a business plan is for designing a single program, with partners. Why use the business plan format? Need help with business planning? NCIPH can provide training and support for agencies seeking help with business planning, especially as part of a Community Health Improvement Plan (CHIP). Business planning works best if you have already established a specific need through your community health assessment (CHA) process. In fact your business planning effort might run parallel with your CHA process; the business plan process will use what’s learned through the CHA about health needs and specific target customers. Business plans help community partners work together more effectively. The iterative business planning process results in better-defined, better-integrated effort. It clarifies outcomes, methods, and financial assumptions across the partner organizations and helps you design for sustainability. The only programs that need business plans are those that will ultimately generate revenue as part of their financial sustainability. Programs that are completely funded through state or grant dollars may not need a full business plan. If you want to design a self-sustaining program—in other words, if one or more of the partners expect to support the effort long-term with revenue—then a business plan is the right tool for the job. A key function of the business plan is to lay out financial assumptions. Decision-makers in the partner organizations will want this information before committing start-up resources. Indeed, many grant funders now require business plans or “sustainability” plans before they make grants. 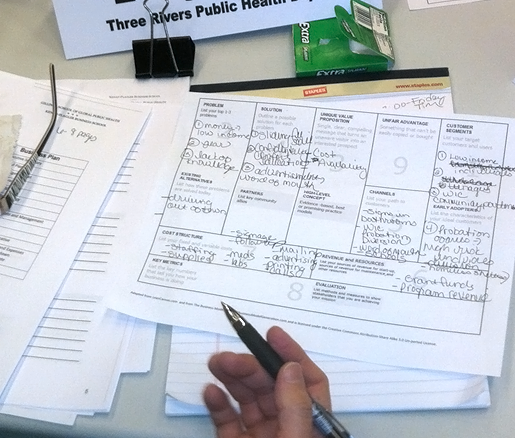 UNC is a leader in public health business planning. The Management Academy for Public Health, the flagship national program for public health managers, was developed at the UNC Gillings School of Global Public Health, in partnership with the UNC Kenan-Flagler Business School. 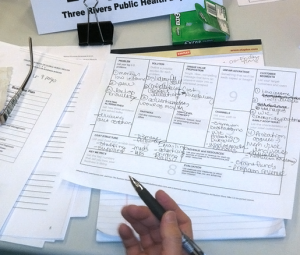 Since 1999, we have worked with hundreds of different local communities and many state public health agencies to help them build business planning skills and develop real-world public health business plans. Learn more about the Management Academy model and see examples of business plans.